Since the 1970s, thousands of people across the globe have reported hearing a strange humming sound incessantly pulsating in their ears – and we’re not talking about tinnitus. In fact, some claim the weird sound has persisted for so long that it has started driving them nuts, disturbing their concentration during the day and haunting them in their sleep. The strange hum has turned into such a compelling mystery that there’s an entire website dedicated to studying and documenting the phenomenon. There you’ll find an expansive map where recreational researchers have crowdsourced hundreds of locations where they’ve experienced the hum. Yet nobody has managed to decisively identify the source of the hum: Is it an external noise coming from our increasingly technologized environment or an internal phenomenon – perhaps the symptom of a new mental disorder? 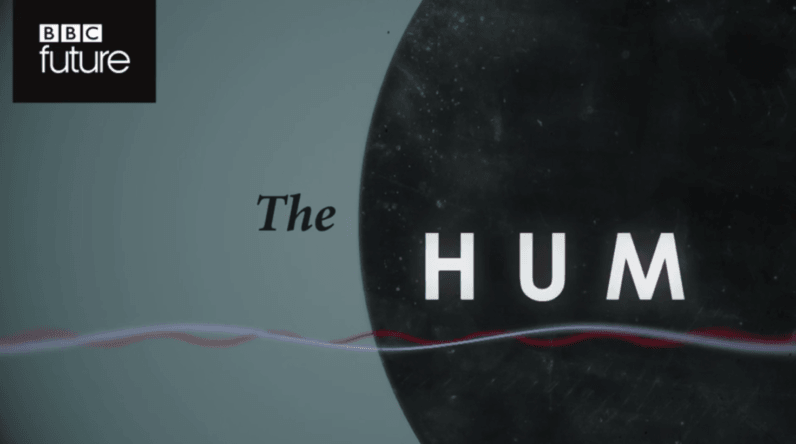 In a new short documentary for BBC, journalist Linda Geddes goes on a thrilling quest to pinpoint the source of the strange hum. If you’ve got 15 minutes to waste, you should definitely head out to BBC’s website and check out the documentary right now – or just click here. Oh, and don’t forget to let us know: Have you been hearing the hum?